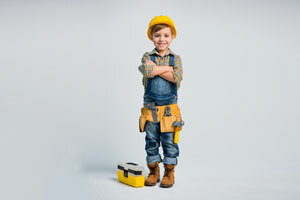 If you are an electrician, then you can understand the importance of having your hands free for climbing ladders or crawling through confined spaces. 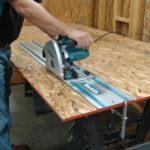 Unfortunately, it can be difficult to follow through with these tasks when you are carrying your tool bag in your hands. 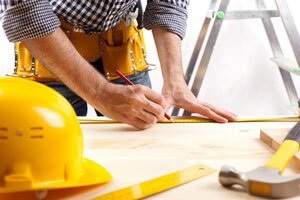 For these reasons, it might be necessary for you to invest in a backpack for your tools. These bags offer the freedom of your hands, and they are large enough to provide everything you will need in one trip without having to go back and forth to your truck. 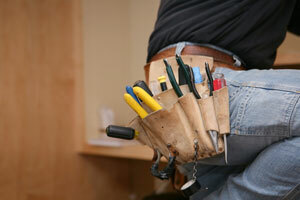 That’s why it’s important to find the best electrician backpack. When shopping for the right bag, consider the number of pockets the bag provides. Think about comfort and versatility. 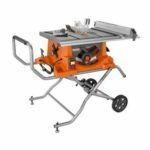 You might also have a need to look for one that will accommodate your laptop and other miscellaneous supplies you need handy on the job site. This bag provides twenty-seven pockets inside and out, and it is built tough with a weatherproof injection to protect its contents in variable climates. 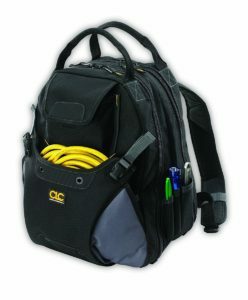 It may very well be the best electrician backpack available. A molded polypropylene base was built into the bag to assist in standing upright while keeping the bag safe. 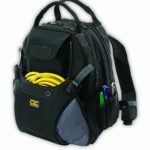 The back of the bag offers an additional storage compartment for a laptop, tablet, or other business accessories that you might need while on the job site, all while balancing out perfectly. 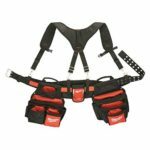 Extra padding was applied to the adjustable shoulder straps, along with the padding for comfort to the back and carrying handle. You might consider this versatile bag to be a portable shop and office all in one! Although the price is higher than the others on the list, it is easy to understand, considering all that it offers, and the rating is the highest of all on the list. This portable bag offers plenty of durability and storage for all your needs. 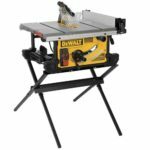 The thirty-nine pockets provide an abundance of storage to keep everything handy, including pockets for longer screwdrivers, front pockets with zippers, a holder for a tape measure and electrical tape, and room to securely carry your laptop to the job site. Designed with a molded bottom to keep the contents of the bag protected, and it also provides an additional molded pocket to keep your safety glasses carefully guarded. 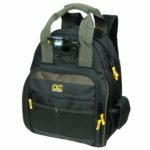 This bag offers soft shoulder straps to keep your hands free to carry other supplies, or you can carry the bag with the provided double handles. An excellent rating, along with an affordable price make this backpack tool bag complete. Another candidate for the best electrician backpack, this backpack offers plenty of storage with a total of forty-eight pockets, including two large zippered compartments for larger tools. The convenient exterior pocket will keep your cords and other supplies at your fingertips. 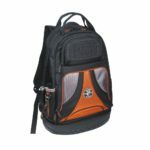 The soft, comfortable bag provides extra cushioned support for your back, padded shoulder straps, an adjustable chest strap, and two adequate carrying handles. This backpack is built strong with long-lasting durability that will be a companion on the job for many years, without having to worry about breakage. 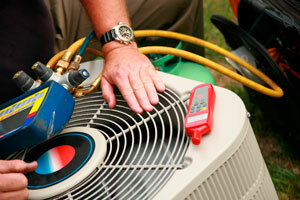 With a high rating and an affordable price, you should have no problem when it comes to making this decision. 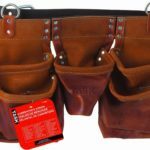 With the fifty-three pockets that come in this bag, you will never have to make several trips to the truck again! 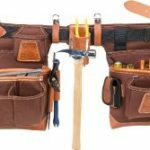 This backpack tool bag provides twenty-eight pockets for larger tools, fourteen pockets for accessories, and eleven pockets to use for miscellaneous supplies. Two-inch straps were brilliantly designed for the storage of drills and chargers, and a light was brilliantly built into the bag to easily find the tools you will need or use the light for working in a dark, confined space. Included with this bag are two AAA batteries for operation of the light, and feet were installed on the bottom of the bag for added protection against wear and tear. The right price, and a great rating are all you need to confirm the quality of this bag. 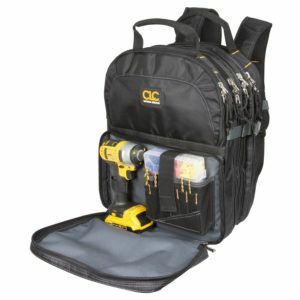 This amazing backpack tool bag offers great quality with easy portability and enough compartments to carry everything you will need to perfect the job at hand. 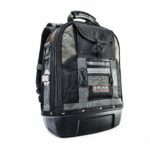 With the seventy-five pockets this bag provides, you will be able to carry all your essentials including a fourteen-piece wrench set, screwdrivers, your electric drill, pliers, an extension cord, and much more. The bag even includes a multi-compartment plastic tray to hold smaller pieces of hardware, and imagine having enough room to include your laptop or tablet. Although there are so many compartments, and various sizes and shapes of tools, this bag still balances out perfectly, and it is convenient to carry with the comfortable shoulder straps, or you can carry it with the padded double handles. 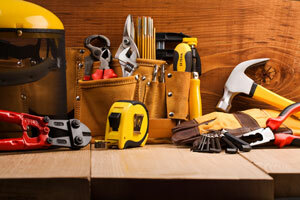 This tool bag is accompanied with an incredible price and a remarkable rating!